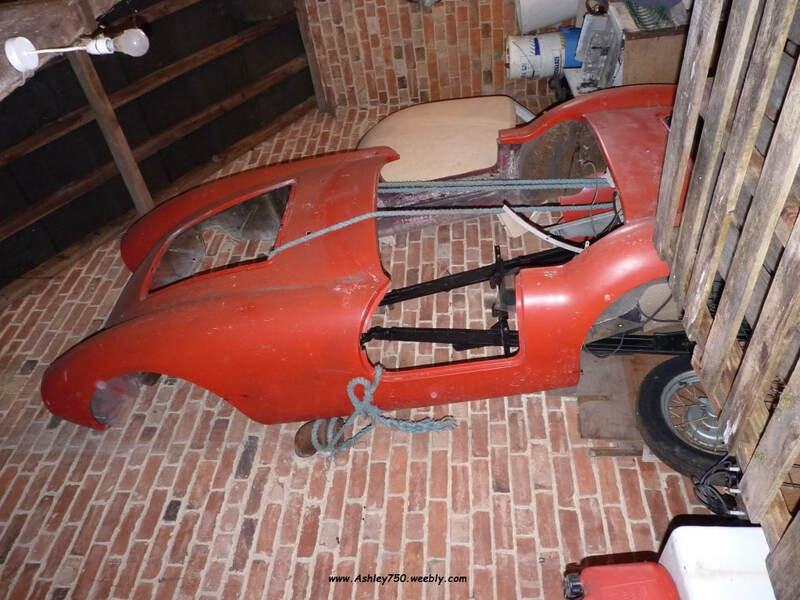 My brother-in-law Pat has in his barn an Ashley Sports car. It has been stored for some time now, it belonged to his son, but it is no longer required. The registration number is CKB 582. If you can find any information about it please let me know. We can no longer ask the owner any details about when and where he acquired the car or any thing that may have been done to the vehicle. So it has not been licensed for quite a few years now. ﻿Thanks for your email, I have not got this Ashley 750 on my records (until now) so I'm very interested to know more and get some photo's of it, if at all possible. I have not yet seen the car, but I understand it is “hanging in the barn” and that was how his son left it when he went to Canada several years ago. I am over two hundred miles away, I hope to go and see him before long, then I will take some pictures. 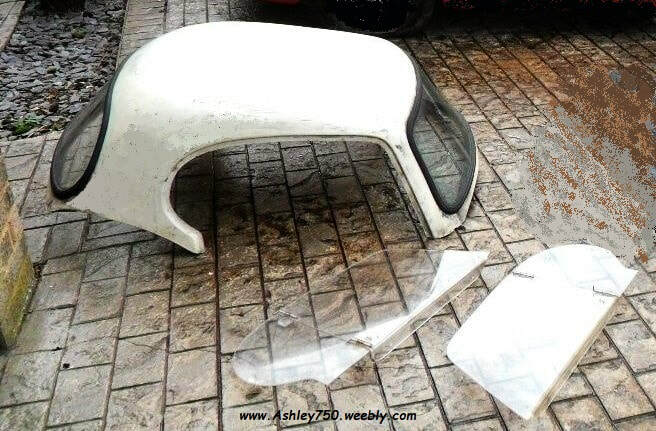 He has explained to me that the Ashley fiberglass body has been separated from the chassis and engine, and I think it is his intention to sell the car, maybe you could help him get the right customer, at a fair price. I will contact as soon as I have any information. and may have a few photo's for this page if he has. 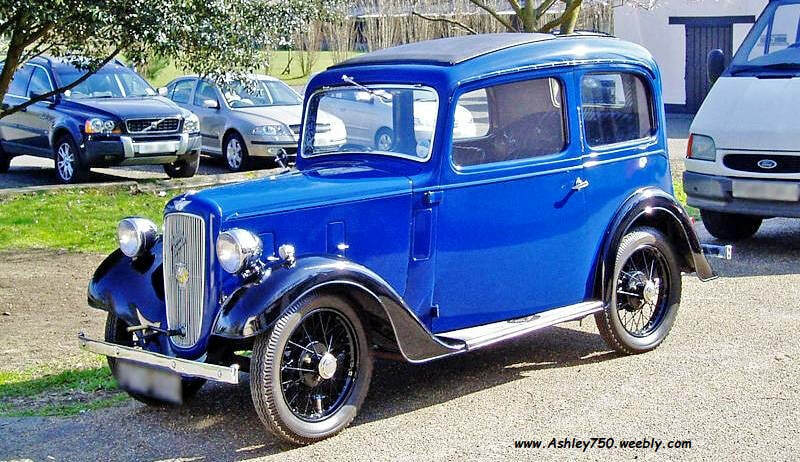 was looking for an Ashley 750.
large Van up to Northampton to pick-up the car bodyshell, chassis and all the other parts to make the complete car. ​Ooops, wrong way round !!! Ivor, I'll keep you updated of any news but unfortunately the house & workshop building are taking precedence over the cars, but it is a means to an end. I'll let you know when progress is being made but please stay in touch. house & workshop building on hold, so is any work on the Ashley. his car as the one that came with it was damaged with no glass. I will be waiting and hoping to see some progress in the coming year.